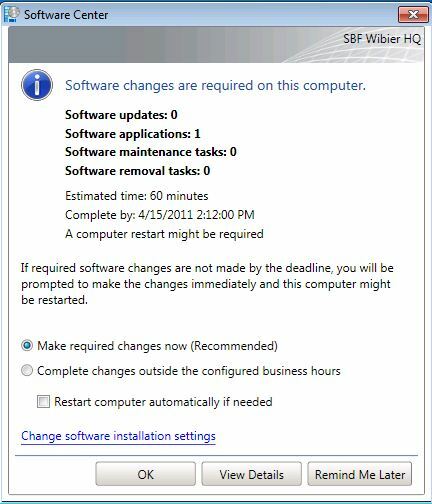 Let’s take a look at application deployment in ConfigMgr 2012. First of all, things have changed. And for the better. 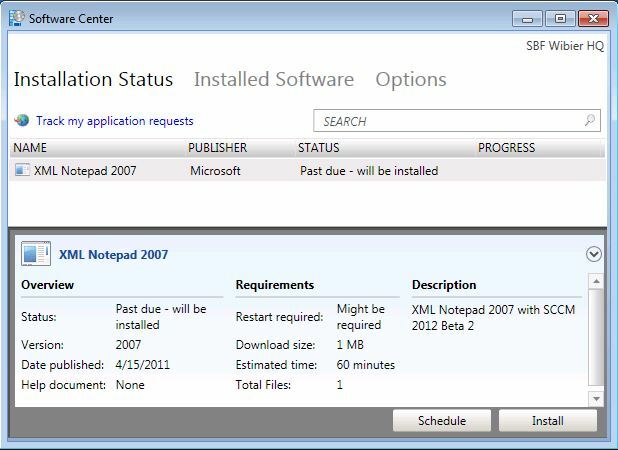 In SCCM 2007 an user would get his/her software mandatory (pushed) or published via RAP (Run Advertised Programs) or Add/Remove Programs, both found in the Control Panel. For most system administrators and users this was not so nice. Now we still have the possibility of pushing out software, but the RAP is gone. Actually it is not gone but replaced with something smarter, the Software Center. So how dows this work? In order to deploy anything we first have to create an application. The application is imported successfully. Let’s deploy the application to a User Group. Nice because we set-up Active Directory with the needed Groups and now we want to use them. I have created a XMLNotepad collection which it filled with the Security Group XMLNotepad. This is where we set the Required or Available option, and whether to Install or Uninstall the application. Rather cool huh! Now log on to the client and see the Application delivery. So that’s pretty cool and easy!